Rangers Apprentice is a - ﻿Up to now - 12-piece books series. Written for children from 10-14 years (but also many adults like it ! )﻿. ﻿The story is about Will, a boy from the country Araluen. Will is chosen to become a Ranger. He would rather go to the battleschool to learn how to fight as a real knight. But he isn`t long and strong enough. The Rangers Apprentice. are the ears and the eyes of the empire. They are a kind of spies. They must keep the empire save, for example: They need to now whats happening on every side of the empire. Sometimes they are send to explore the other country`s from rangers apprentices series. They need to hide very well so they have a cape, that cape is green and gray. 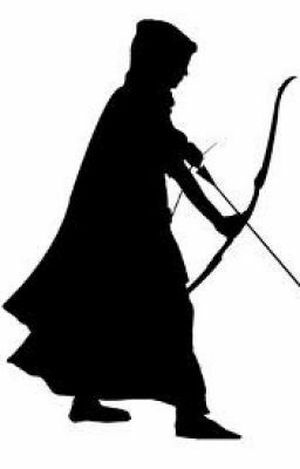 If you are more than three meter away from a ranger's apprentice who try`s to hide in that cape you can`t see him. the rangers apprentice also have weapons: A bow, a knife to throw, and a dagger. They have a well-trained horse too. After a while they get a really strong bond. 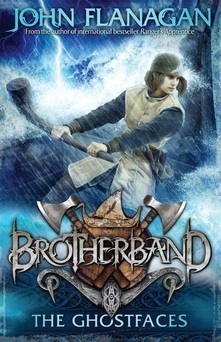 Brotherband 6 came out on the 15th of may! The titel is The Ghostfaces.